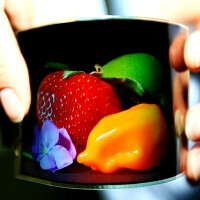 Nokia's Kinetic Labs bendable concept might be three years away from being commercialized, as the researchers said, but Samsung's flexible OLED displays are about to hit mainstream in devices much sooner. During its quarterly earnings Q&A with analysts, Samsung's spokesperson Robert Yi shed some more light on when are we to see products with the bendy OLEDs that Samsung has demonstrated numerous times and that were said to hit the conveyor belts in 2012. He confirmed that timeframe for the launch of mass production, and even said products are coming hopefully "in the earlier part of 2012". Does it mean that after what is shaping to be a monster Samsung Galaxy S III we will be waiting on another eye-popping handset from the Koreans? Likely, since Robert Yi hinted that the "application probably will start from the handset side". Sounds yummy, especially if that "application" has something to do with the bendable OLED without crease in the middle that was demonstrated by Samsung's R&D this year. Are we about to see phones that open up to become small tablets, or will Samsung just bring some boutique design, curvy and twisted, for bragging rights? The leaks will guide you, my son, said the Jedi, and took off. might wanna check the definition of innovation buddy.... "something new and different".... Siri (and most things dealing with cell phones) is much more appropriately referred to as "evolution".... its taken some android features and bolstered an further integrated them. I love all the competition and evolution we're seeing but i wish people would stop referring to everything that happens as "innovative"... that being said, the iphone mightve been the last thing truly innovative. precisely, no innovation in an iphone. Apple already have a patent for bending things over backwards.....their islaves for example,so they will probably try to sue! hahahahaha oh my god that is a classic. Now I can look forward to that nifty wrap-around wrist phone I've always been waiting for! And where will the battery be? How long can that phone last? Those can all be worn on a nifty accessory belt! It's a slap bracelet that's also a phone that's also a tablet! Let the future come. Then again, In the future we won't even use our hands. I wonder what material they will use to make bendable hardware? Bendy phone chips, bendy battery, bendy processors, and bendy fortified glass? Galaxy Flex, coming your way! I could care less for bendy phones. To be honest those are probably a year or two off. I'm more intruiged in how INCREDIBLY THIN those OLED screens are!!!! WOW! I'm thinking of a next-gen Nexus with a super thin, curved OLED screen. MMMM... Tasty.